Fewster Farm Honey has been gathered from ancient forests and woodlands of Western Australia since 1916. The company's tradition of bee keeping practice has been passed down over a 100 years through four generations. 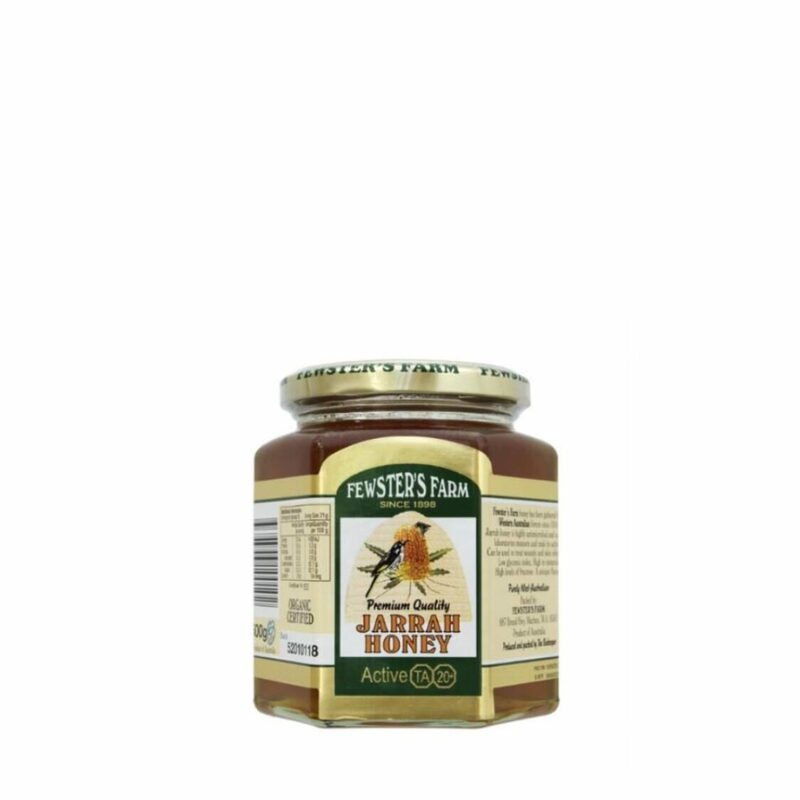 Jarrah Honey is nectar gathered by bees from the flowers of the Jarrah Tree which is only found in Western Australia. Its medium to semi dark amber coloring has a rich and full- bodied flavor. Jarrah Honey is gaining popularity after its anti-microbial and anti-oxidant effects h. As Jarrah trees flower only every other year and is in short supply because of diminishing forest reserves, unpredictable climate and wildfires. Jarrah honey will continue to become more limited as its unique qualities are recognized by discerning customers. TA 20+ rating is a measure of the honey's antibacterial acitivity, the higher rating a batch of honey has, the stronger its antibacterial strength.